The history of banking refers to the development of banks and banking throughout history, with banking defined by contemporary sources as an organization which provides facilities for acceptance of deposits and provision of loans. The history begins with the first prototype banks of merchants of the ancient world, which made grain loans to farmers and traders who carried goods between cities. This began around 2000 BC in Assyria and Babylonia. Later, in ancient Greece and during the Roman Empire, lenders based in temples made loans and added two important innovations: they accepted deposits and changed money. Archaeology from this period in ancient China and India also shows evidence of money lending activity. Many histories position the crucial historical development of a banking system to medieval and Renaissance Italy and particularly the affluent cities of Florence, Venice and Genoa. The Bardi and Peruzzi families dominated banking in 14th century Florence, establishing branches in many other parts of Europe. The most famous Italian bank was the Medici bank, established by Giovanni Medici in 1397. The oldest bank still in existence is Banca Monte dei Paschi di Siena, headquartered in Siena, Italy, which has been operating continuously since 1472. The development of banking spread from northern Italy throughout the Holy Roman Empire, and in the 15th and 16th century to northern Europe. This was followed by a number of important innovations that took place in Amsterdam during the Dutch Republic in the 17th century, and in London in the 18th century. During the 20th century, developments in telecommunications and computing caused major changes to banks' operations and let banks dramatically increase in size and geographic spread. The financial crisis of 2007–2008 caused many bank failures, including some of the world's largest banks, and provoked much debate about bank regulation. More stable economic relations were brought about with a change in socio-economic conditions from a reliance on hunting and gathering of foods to agricultural practice, during periods beginning sometime after 12,000 BC, at approximately 10,000 years ago in the Fertile Crescent, in northern China about 9,500 years ago, about 5,500 years ago in Mexico and approximately 4,500 in the eastern parts of the United States. The history of banking is intertwined with the history of money. Ancient types of money known as grain-money and food cattle-money were used from a time of around at least 9000 BC, as two of the earliest things understood as things to be made use of for the purposes of barter (Davies). Anatolian obsidian as a raw material for Stone Age tools was being distributed from as early as about 12,500 B.C., the occurrence of an organized trade was current during the 9th millennium (Cauvin;Chataigner 1989). Within Sardinia, which was the location of one of the four main sites for sourcing the material deposits of obsidian within the Mediterranean, trade using obsidian was replaced during the 3rd millennia by trade instead of copper and silver. Objects used for record keeping, "bulla" and tokens, have been recovered from within Near East excavations, dated to a period beginning 8000 B.C.E and ending 1500 B.C.E., as records of the counting of agricultural produce. Commencing in the late fourth millennia mnemonic symbols were in use by members of temples and palaces to serve to record stocks of produce. Types of records accounting for trade exchanges of payments were being made firstly about 3200. 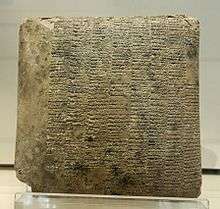 A very early writing on clay tablet called the Code of Hammurabi, refers to the regulation of a banking activity of sorts within the civilization (Armstrong) of an era which dates to ca. 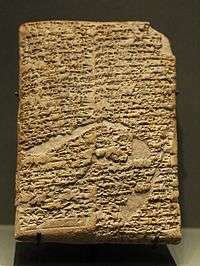 1700 BCE, banking was well enough developed to justify laws governing banking operations. [nb 1] Later during the Achaemenid Empire (after 646 BC. ), further evidence is found of banking practices in the Mesopotamia region. By the 5th millennium B.C. the settlements of Sumer, such as Eridu, were formed around a central temple. In the fifth millennium, people began to build and live in the civilization of cities, providing a structure for the construction of institutions and establishments. Tell Brak and Uruk were two early urban settlements. The earliest banks were used exclusively by rulers to fund the more important and larger festivals and for building expenses. Banking as an archaic activity (or quasi-banking) is thought to have begun at various times, during a period as early as the latter part of the 4th millennia B.C., to within the 4th to 3rd millennia B.C. Prior to the reign of Sargon I of Akkad (2335–2280 B.C.) the occurrence of trade was limited to the internal boundaries of each city-state of Babylon and the temple located at the centre of economic activity there-in; trade at the time for citizens external to the city was forbidden. In Babylonia of 2000 B.C., people depositing gold were required to pay amounts as much as one sixtieth of the total deposited. Both the palaces and temple are known to have provided lending and issuing from the wealth they held—the palaces to a lesser extent. Such loans typically involved issuing seed-grain, with re-payment from the harvest. These basic social agreements were documented in clay tablets, with an agreement on interest accrual. The habit of depositing and storing of wealth in temples continued at least until 209 B.C., as evidenced by Antioch having ransacked or pillaged the temple of Aine in Ecbatana (Media) of gold and silver. Cuneiform records of the house of Egibi of Babylonia describe the families financial activities dated as having occurred sometime after 1000 BC and ending sometime during the reign of Darius I, show according to one source a "lending house" (Silver 2002),a family engaging in "professional banking..." (Dandamaev et al 2004) and economic activities similar to a degree to modern deposit banking, although another states the families activities better described as entrepreneurship rather than banking (Wunsch 2007). The provision of credit is apparently also something the Murashu family participated in (Moshenskyi 2008). Trapezitica is the first source documenting banking (de Soto – p. 41). The speeches of Demosthenes contain numerous references to the issuing of credit (Millett p. 5). Xenophon is credited to have made the first suggestion of the creation of an organisation known in the modern definition as a joint-stock bank in On Revenues written circa 353 B.C. The city-states of Greece after the Persian Wars produced a government and culture sufficiently organized for the birth of a private citizenship and therefore an embryonic capitalist society, allowing for the separation of wealth from exclusive state ownership to the possibility of ownership by the individual. According to one source (Dandamaev et al), trapezites were the first to trade using money, during the 5th century B.C, as opposed to earlier trade which occurred using forms of pre-money. The earliest forms of storage utilized were the rudimentary money-boxes (θΗΣΑΥΡΌΣ) which were made similar in form to the construction of a bee-hive, and were found for example in the Mycenae tombs of 1550–1500 BC. Private and civic entities within ancient Grecian society, especially Greek temples, performed financial transactions. (Gilbart p. 3) The temples were the places where treasure was deposited for safe-keeping. The three temples thought the most important were the temple to Artemis in Ephesus, and temple of Hera within Samos, and within Delphi, the temple to Apollo. These consisted of deposits, currency exchange, validation of coinage, and loans. The first treasury to the Apollonian temple was built before the end of the 7th century BC, a treasury of the temple was constructed by the city of Siphnos during the 6th century. Before the destruction by Persians during the 480 invasion, the Athenian Acropolis temple dedicated to Athena stored money; Pericles rebuilt a depository afterward contained within the Parthenon. During the reign of the Ptolemies, state depositories replaced temples as the location of security-deposits, records exist to show this having occurred by the end of the reign of Ptolemy I (305–284). As the need for new buildings to house operations increased, construction of these places within the cities began around the courtyards of the agora (markets). Athens received the Delian leagues' treasury during 454. During the late 3rd and 2nd century BC, the Aegean island of Delos, became a prominent banking center. During the 2nd century, there were for certain three banks and one temple depository within the city. Thirty five Hellenistic cities included private banks during the 2nd century (Roberts – p. 130). Of the settlements of the Greco-Roman world of the 1st century AD, three were of pronounced wealth and centres of banking, Athens, Corinth and Patras. Many loans are recorded in writings from the classical age, although a very small proportion were provided by banks. Provision of these were likely an occurrence of Athens, with loans known to have been provided at some time at an annual interest of 12%. Within the boundaries of Athens, bankers loans are recorded as having been issued on eleven occasions altogether (Bogaert 1968). Banks sometimes made loans available confidentially, which is, they provided funds without being publicly and openly known to have done so, in addition also, to act as intermediaries for persons to loan their own monies without this being known to others. This intermediation per se was known as dia tes trapazēs. A loan was made by a Temple of Athens to the state during 433–427 BCE. About the time of the 18th century BC, amounts of gold were deposited within the boundaries of the temple buildings of Egypt for reasons of security. In Egypt from early times, grain having an intrinsic value as food functioned, in addition to precious metals, as money. The regional granaries were used to store and loan the grain of communities, functions similar to banking services although not the same. Under the dynastic rule of the Ptolemies, the numerous scattered government granaries were transformed into a network of grain banks, centralized in Alexandria where the main accounts from all the state granary banks were recorded. This centralized administration was the first known governmental bank (according to de Soto), functioning as a trade credit system that transferred payments between accounts without passing money. According to Muir (2008) there were two types of banks operating within Egypt, royal and private. During the Ptolemaic period, basilikḕ trápeza was the term used when referring to royal bank. More generally during the whole Graeco-Roman period (332 B.C. – 642 A.D.), banks were of three types, either privately run, leased, or owned by government, of which included within this last group were some organisations having dual roles including being additionally treasury departments. Documents made to show the banking of taxes were known as peptoken-records. The recording of the gathering of money to buy grain in a pharaoh's kingdom as ordered by the Biblical Joseph, is written within the book Genesis of the Bible, and this money was placed within the house of the pharaoh. Joseph bought with the money of the pharaoh a large amount of corn, having this then laid in the public granaries. Roman banking activities were an economic situation which had a crucial presence within temples, for instance the minting of coins occurred within temples, most importantly the Juno Moneta temple, though during the time of the Empire, public deposits gradually ceased to be held in temples, and instead were held in private depositories. Still, the Roman Empire inherited the spirit of capitalism from Greece (Parker). During 352 B.C. a rudimentary public bank (known as dēmosía trápeza ) was formed, with the passing of consul directive to form a commission of mensarii to deal with debt in the impoverished lower classes. Another source shows banking practices during 325 BC when, on account of being in debt, the Plebeians were required to borrow money, so newly appointed quinqueviri mensarii were commissioned to provide services to those who had security to provide, in exchange for money from the public treasury. Another source (J.Andreau) has the shops of banking of Ancient Rome firstly opening in the public forums during the period 318 to 310 BC. In early Ancient Rome deposit bankers were known as argentarius and at a later time (from the 2nd century anno domini onward) as nummularius (Andreau 1999 p. 2) or mensarii. The banking-houses were known as Taberae Argentarioe and Mensoe Numularioe. Money-lenders would set up their stalls in the middle of enclosed courtyards called macella on a long bench called a bancu, from which the words banco and bank are derived. As a moneychanger, the merchant at the bancu did not so much invest money as merely convert the foreign currency into the only legal tender in Rome – that of the Imperial Mint. Operations of banking within Roman society were known as officium argentarii. Statutes (AD 125/126) of the Empire described "letter from Caesar to Quietus" show rental monies to be collected from persons using land belonging to a temple and given to the temple treasurer, as decreed by Mettius Modestus governor of Lycia and Pamphylia. A law, receptum argentarii, obliged a bank to pay its' clients debts under guarantee. Cassius Dio advocated the establishment of a state bank, funded by the sale of all the properties owned at the time by the state. In the 4th century monopolies existed in Byzantium and in the city of Olbia in Sardinia. The Roman empire at some time formalized the administrative aspect of banking and instituted greater regulation of financial institutions and financial practices. Charging interest on loans and paying interest on deposits became more highly developed and competitive. The development of Roman banks was limited, however, by the Roman preference for cash transactions. During the reign of the Roman emperor Gallienus (AD 260–268), there was a temporary breakdown of the Roman banking system after the banks rejected the flakes of copper produced by his mints. With the ascent of Christianity, banking became subject to additional restrictions, as the charging of interest was seen as immoral. After the fall of Rome, banking temporarily ended in Europe and was not revived until the time of the crusades. From the fourth millennia previously agricultural settlements began administrative activities. The temple of Artemis at Ephesus was the largest depository of Asia. A pot-hoard dated to 600 B.C. was found in excavations by the British Museum during the year after 1904. During the time at the cessation of the first Mithridatic war the entire debt record at the time being held, was annulled by the council. Mark Anthony is recorded to have stolen from the deposits on an occasion. The temple served as a depository for Aristotle, Caesar, Dio Chrysostomus, Plautus, Plutarch, Strabo and Xenophon. The temple to Apollo in Didyma was constructed sometime in the 6th century. A large sum of gold was deposited within the treasury at the time by king Croesus. In ancient India there is evidence of loans from the Vedic period (beginning 1750 BC). Later during the Maurya dynasty (321 to 185 BC), an instrument called adesha was in use, which was an order on a banker desiring him to pay the money of the note to a third person, which corresponds to the definition of a bill of exchange as we understand it today. During the Buddhist period, there was considerable use of these instruments. Merchants in large towns gave letters of credit to one another. In ancient China, starting in the Qin Dynasty (221 to 206 BC), Chinese currency developed with the introduction of standardized coins that allowed easier trade across China, and led to development of letters of credit. These letters were issued by merchants who acted in ways that today we would understand as banks. Most early religious systems in the ancient Near East, and the secular codes arising from them, did not forbid usury. These societies regarded inanimate matter as alive, like plants, animals and people, and capable of reproducing itself. Hence if you lent 'food money', or monetary tokens of any kind, it was legitimate to charge interest. Food money in the shape of olives, dates, seeds or animals was lent out as early as c. 5000 BCE, if not earlier. Among the Mesopotamians, Hittites, Phoenicians and Egyptians, interest was legal and often fixed by the state. Israelites were forbidden to charge interest on loans made to other Israelites, but allowed to charge interest on transactions with non-Israelites, as the latter were often amongst the Israelites for the purpose of business anyway, but in general, it was seen as advantageous to avoid debt at all, to avoid being bound to someone else. Debt was to be avoided and not used to finance consumption, but only when in need. However, laws against usury were among many the prophets condemn the people for breaking. It was the interpretation that interest could be charged to non-Israelites that would be used in the 14th century for Jews living within Christian societies in Europe to justify lending money for profit. As this conveniently side stepped the rules against usury in both Judaism and Christianity as the Jews could lend to the Christians as they are not Israelites and the Christians were not involved in the lending but were still free to take the loans. Originally, the charging of interest, known as usury, was banned by Christian churches. This included charging a fee for the use of money, such as at a bureau de change. However over time the charging of interest became acceptable, the term came to be used for interest above the rate allowed by law. The rise of Protestantism in the 18th century weakened Rome's influence, and its dictates against usury became irrelevant in some areas. That would free up the development of banking in Northern Europe. In Islam it is strictly prohibited to take interest; the Quran strictly prohibits lending money on Interest. "O you who have believed, do not consume usury, doubled and multiplied, but fear Allah that you may be successful" (3:130) "and Allah has permitted trade and has forbidden interest" (2:275). Riba is forbidden in Islamic economic jurisprudence (fiqh). Islamic jurists discuss two types of riba: an increase in capital with no services provided, which the Qur'an prohibits—and commodity exchanges in unequal quantities, which the Sunnah prohibits; trade in promissory notes (e.g. fiat money and derivatives) is forbidden. Despite the prohibition of charging interest, during the 20th century a number of developments took place that would lead to an Islamic banking model where no interest is charged but banks would still operate for profit. This would be done through charging for loans in different ways such as through fees and using method of risk sharing and different ownership models such as leasing. Banking, in the modern sense of the word, is traceable to medieval and early Renaissance Italy, to rich cities in the north such as Florence, Venice, and Genoa. The original banks were "merchant banks" that Italian grain merchants invented in the Middle Ages. As Lombardy merchants and bankers grew in stature based on the strength of the Lombard plains cereal crops, many displaced Jews fleeing Spanish persecution were attracted to the trade. 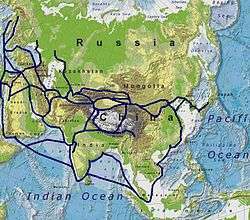 They brought with them ancient practices from the Middle and Far East silk routes. Originally intended to finance long trading journeys, they applied these methods to finance grain production and trading. Jews could not hold land in Italy, so they entered the great trading piazzas and halls of Lombardy, alongside local traders, and set up their benches to trade in crops. They had one great advantage over the locals. Christians were strictly forbidden the sin of usury, defined as lending at interest (Islam makes similar condemnations of usury). The Jewish newcomers, on the other hand, could lend to farmers against crops in the field, a high-risk loan at what would have been considered usurious rates by the Church; but the Jews were not subject to the Church's dictates. In this way they could secure the grain-sale rights against the eventual harvest. They then began to advance payment against the future delivery of grain shipped to distant ports. In both cases they made their profit from the present discount against the future price. This two-handed trade was time-consuming and soon there arose a class of merchants who were trading grain debt instead of grain. The Jewish trader performed both financing (credit) and underwriting (insurance) functions. Financing took the form of a crop loan at the beginning of the growing season, which allowed a farmer to cultivate (through seeding, growing, weeding, and harvesting) his annual crop. Underwriting in the form of a crop, or commodity, insurance guaranteed the delivery of the crop to its buyer, typically a merchant wholesaler. In addition, traders performed the merchant function by making arrangements to supply the buyer of the crop through alternative sources—grain stores or alternate markets, for instance—in the event of crop failure. He could also keep the farmer (or other commodity producer) in business during a drought or other crop failure, through the issuance of a crop (or commodity) insurance against the hazard of failure of his crop. Merchant banking progressed from financing trade on one's own behalf to settling trades for others and then to holding deposits for settlement of "billette" or notes written by the people who were still brokering the actual grain. And so the merchant's "benches" (bank is derived from the Italian for bench, banca, as in a counter) in the great grain markets became centers for holding money against a bill (billette, a note, a letter of formal exchange, later a bill of exchange and later still a cheque). In the 12th century, the need to transfer large sums of money to finance the Crusades stimulated the re-emergence of banking in western Europe. 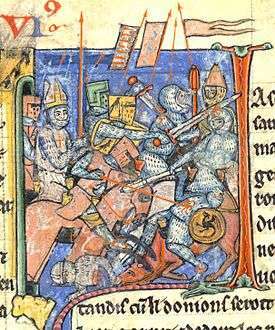 In 1162, Henry II of England levied a tax to support the crusades—the first of a series of taxes levied by Henry over the years with the same objective. The Templars and Hospitallers acted as Henry's bankers in the Holy Land. The Templars' wide flung, large land holdings across Europe also emerged in the 1100–1300 time frame as the beginning of Europe-wide banking, as their practice was to take in local currency, for which a demand note would be given that would be good at any of their castles across Europe, allowing movement of money without the usual risk of robbery while traveling. A sensible manner of discounting interest to the depositors against what could be earned by employing their money in the trade of the bench soon developed; in short, selling an "interest" to them in a specific trade, thus overcoming the usury objection. Once again this merely developed what was an ancient method of financing long-distance transport of goods. Medieval trade fairs, such as the one in Hamburg, contributed to the growth of banking in a curious way: moneychangers issued documents redeemable at other fairs, in exchange for hard currency. These documents could be cashed at another fair in a different country or at a future fair in the same location. If redeemable at a future date, they would often be discounted by an amount comparable to a rate of interest. Eventually, these documents evolved into bills of exchange, which could be redeemed at any office of the issuing banker. These bills made it possible to transfer large sums of money without the complications of hauling large chests of gold and hiring armed guards to protect the gold from thieves. In 1156, in Genoa, occurred the earliest known foreign exchange contract. Two brothers borrowed 115 Genoese pounds and agreed to reimburse the bank's agents in Constantinople the sum of 460 bezants one month after their arrival in that city. In the following century the use of such contracts grew rapidly, particularly since profits from time differences were seen as not infringing canon laws against usury. A 14th century manuscript depicting bankers in an Italian counting house. The first bank to be established was established in Venice with guarantee from the State in 1157. According to Macardy this was due to the commercial agency of the Venetians, acting in the interest of the Crusaders of Pope Urban the Second. The reason is given elsewhere as due to costs of the expansion of the empire under Doge Vitale II Michiel, and to relieve the subsequent financial burden on the republic  "a forced loan" was made necessary. To this end the Chamber of Loans, was created to manage the affairs of the forced loan, as to the loans repayment at four percent interest. Changes in the enterprises of the Chamber, firstly by the commencing of use of discounting exchanges and later by the receipt of deposits, there developed the functioning of the organisation into The Bank of Venice, with an initial capital of 5,000,000 ducats. In any case, banking practice proper began in the mid-parts of the 12th century, and continued until the bank was caused to cease to operate during the French invasion of 1797. The bank was the first national bank to have been established within the boundaries of Europe. There were banking failures from 1255 to 1262. In the middle of the 13th century, groups of Italian Christians, particularly the Cahorsins and Lombards, invented legal fictions to get around the ban on Christian usury; for example, one method of effecting a loan with interest was to offer money without interest, but also require that the loan is insured against possible loss or injury, and/or delays in repayment (see contractum trinius). The Christians effecting these legal fictions became known as the pope's usurers, and reduced the importance of the Jews to European monarchs; later, in the Middle Ages, a distinction evolved between things that were consumable (such as food and fuel) and those that were not, with usury permitted on loans that involved the latter. The most powerful banking families came from Florence, including the Acciaiuoli, Mozzi, Bardi and Peruzzi families, which established branches in many other parts of Europe. Probably the most famous Italian bank was the Medici bank, set up by Giovanni di Bicci de' Medici in 1397  and continuing until 1494. (Banca Monte dei Paschi di Siena S.p.A. (BMPS) Italy, is in fact the oldest banking organisation to have surviving banking-operations, or services). It was the Italian bankers that would take their place and by 1327, Avignon had 43 branches of Italian banking houses. In 1347, Edward III of England defaulted on loans. Later there was the bankruptcy of the Bardi (1343 ) and Peruzzi (1346 ). The accompanying growth of Italian banking in France was the start of the Lombard moneychangers in Europe, who moved from city to city along the busy pilgrim routes important for trade. Key cities in this period were Cahors, the birthplace of Pope John XXII, and Figeac. After 1400, political forces did, in fact, somewhat turn against the methods of the Italian free enterprise bankers, In 1401 King Martin I of Aragon had some of these bankers expelled. In 1403, Henry IV of England prohibited them from taking profits in any way in his kingdom. In 1409, Flanders imprisoned and then expelled Genoese bankers. In 1410, all Italian merchants were expelled from Paris. In 1407, the Bank of Saint George, the first state-bank of deposit, was founded in Genoa and was to dominate business in the Mediterranean. In the times between 1527 and 1572 the Genoese people produced a number of important banking family groups, the Grimaldi, Spinola and Pallavicino families were especially influential and wealthy, also the Doria, although perhaps less influential, and the Pinelli and the Lomellini. 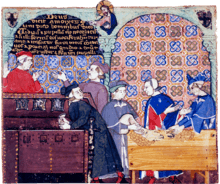 In 1401 the magistrates of Barcelona established in the city the first replication of the Venetian model of exchange and deposit, Taula de Canvi – the Table of Exchange. Halil Inalcik suggests that, in the 16th century, Marrano Jews (Doña Gracia from House of Mendes) fleeing from Iberia introduced the techniques of European capitalism, banking and even the mercantilist concept of state economy to the Ottoman Empire. In the 16th century, the leading financiers in Istanbul were Greeks and Jews. Many of the Jewish financiers were Marranos who had fled from Iberia during the period leading up to the expulsion of Jews from Spain. Some of these families brought great fortunes with them. The most notable of the Jewish banking families in the 16th-century Ottoman Empire was the Marrano banking house of Mendes, which moved to Istanbul in 1552, under the protection of Sultan Suleyman the Magnificent. When Alvaro Mendes arrived in Istanbul in 1588, he is reported to have brought with him 85,000 gold ducats. The Mendès family soon acquired a dominating position in the state finances of the Ottoman Empire and in commerce with Europe. They thrived in Baghdad during the 18th and 19th centuries under Ottoman rule, performing critical commercial functions such as moneylending and banking. Like the Armenians, the Jews could engage in necessary commercial activities, such as moneylending and banking, that were proscribed for Muslims under Islamic law. Court Jews were Jewish bankers or businessmen who lent money and handled the finances of some of the Christian European noble houses, primarily in the 17th and 18th centuries. Court Jews were precursors to the modern financier or Secretary of the Treasury. Their jobs included raising revenues by tax farming, negotiating loans, master of the mint, creating new sources for revenue,floating debentures, devising new taxes. and supplying the military. In addition, the Court Jew acted as personal bankers for nobility: he raised money to cover the noble's personal diplomacy and his extravagances. 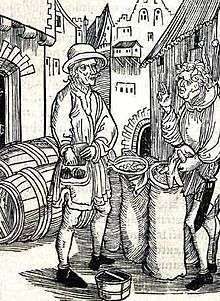 In the southern German realm, two great banking families emerged in the 15th century, the Fuggers and the Welsers. They came to control much of the European economy and to dominate international high finance in the 16th century. The Fuggers built the first German social housing area for the poor in Augsburg, the Fuggerei. It still exists, but not the original Fugger Bank which lasted from 1486 to 1647. 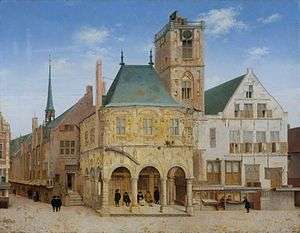 Dutch bankers played a central role in establishing banking in the Northern German city states. Berenberg Bank is the oldest bank in Germany and the world's second oldest, established in 1590 by Dutch brothers Hans and Paul Berenberg in Hamburg. The bank is still owned by the Berenberg dynasty. Throughout the 17th century, precious metals from the New World, Japan and other locales were being channeled into Europe, with corresponding price increases. Thanks to the free coinage, the Bank of Amsterdam, and the heightened trade and commerce, the Netherlands attracted even more coin and bullion to be deposited in their banks. These concepts of Fractional-reserve banking and payment systems were further developed and spread to England and elsewhere. In the City of London there weren't any banking houses operating in a manner recognized as so today until the 17th century, although the London Royal Exchange was established in 1565. By the end of the 16th century and during the 17th, the traditional banking functions of accepting deposits, moneylending, money changing, and transferring funds were combined with the issuance of bank debt that served as a substitute for gold and silver coins. New banking practices promoted commercial and industrial growth by providing a safe and convenient means of payment and a money supply more responsive to commercial needs, as well as by "discounting" business debt. By the end of the 17th century, banking was also becoming important for the funding requirements of the combative European states. This would lead on to government regulations and the first central banks. The success of the new banking techniques and practices in Amsterdam and London helped spread the concepts and ideas elsewhere in Europe. Modern banking practice, including fractional reserve banking and the issue of banknotes, emerged in the 17th century. At the time, wealthy merchants began to store their gold with the goldsmiths of London, who possessed private vaults and charged a fee for their service. In exchange for each deposit of precious metal, the goldsmiths issued receipts certifying the quantity and purity of the metal they held as a bailee; these receipts could not be assigned, only the original depositor could collect the stored goods. Gradually the goldsmiths began to lend the money out on behalf of the depositor, which led to the development of modern banking practices; promissory notes (which evolved into banknotes) were issued for money deposited as a loan to the goldsmith. These practices created a new kind of "money" that was actually debt, that is, goldsmiths' debt rather than silver or gold coin, a commodity that had been regulated and controlled by the monarchy. This development required the acceptance in trade of the goldsmiths' promissory notes, payable on demand. Acceptance in turn required a general belief that coin would be available; and a fractional reserve normally served this purpose. Acceptance also required that the holders of debt be able legally to enforce an unconditional right to payment; it required that the notes (as well as drafts) be negotiable instruments. The concept of negotiability had emerged in fits and starts in European money markets, but it was well developed by the 17th century. Nevertheless, an act of Parliament was required in the early 18th century (1704) to overrule court decisions holding that the gold smiths notes, despite the "customs of merchants", were not negotiable. 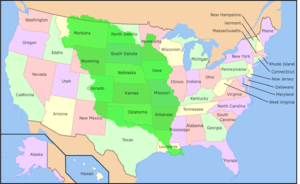 The Louisiana Purchase of 1803 was handled by Francis Baring and Company of London. The first bank to begin the permanent issue of banknotes was the Bank of England in 1695. Initially hand-written and issued on deposit or as a loan, they promised to pay the bearer the value of the note on demand. By 1745, standardized printed notes ranging from £20 to £1,000 were being printed. Fully printed notes that didn't require the name of the payee and the cashier's signature first appeared in 1855. The rise of Protestantism freed many European Christians from Rome's dictates against usury. In the 18th century, services offered by banks increased. Clearing facilities, security investments, cheques and overdraft protections were introduced. Cheques were invented in the 1600s in England and banks settled payments by direct courier to the issuing bank. Around 1770, they began meeting in a central location, and by the 1800s a dedicated space was established, known as a bankers' clearing house. The London clearing house used a method where each bank paid cash to and then was paid cash by an inspector at the end of each day. The first overdraft facility was set up in 1728 by the Royal Bank of Scotland. The Industrial Revolution and growing international trade increased the number of banks, especially in London. At the same time, new types of financial activities broadened the scope of banking far beyond its origins. The merchant-banking families dealt in everything from underwriting bonds to originating foreign loans. These new "merchant banks" facilitated trade growth, profiting from England's emerging dominance in seaborne shipping. Two immigrant families, Rothschild and Baring, established merchant banking firms in London in the late 18th century and came to dominate world banking in the next century. Modern banking began during a period spanning the year 1868 to the period known as World War I. 1868 marked the year of the beginning of the Meiji governments' attempts at formulating a functioning banking system, which continued until some time during 1881. The Imperial mint was begun using imported machines from Britain during the early years of the Meiji period. Masayoshi Matsukata is thought the formative figure of the formation of a later banking initiative. The Bank of Amsterdam became a model for the functioning of a bank in the capacity of monetary exchange and started the development of central banks. An early central bank was the Sveriges Riksbank, established in 1668, although this was short-lived. In England in the 1690s, public funds were in short supply and were needed to finance the ongoing conflict with France. The credit of William III's government was so low in London that it was impossible for it to borrow the £1,200,000 (at 8 per cent) that the government wanted. In order to induce subscription to the loan, the subscribers were to be incorporated by the name of the Governor and Company of the Bank of England. The bank was given exclusive possession of the government's balances, and was the only limited-liability corporation allowed to issue banknotes. The lenders would give the government cash (bullion) and also issue notes against the government bonds, which can be lent again. The £1.2M was raised in 12 days; half of this was used to rebuild the Navy. 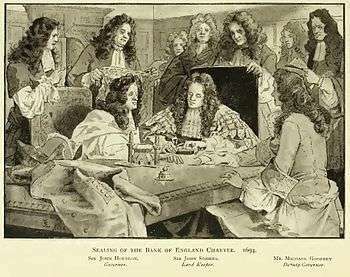 The establishment of the Bank of England, the model on which most modern central banks have been based on, was devised by Charles Montagu, 1st Earl of Halifax, in 1694, to the plan which had been proposed by William Paterson three years before, but had not been acted upon. He proposed a loan of £1.2M to the government; in return the subscribers would be incorporated as The Governor and Company of the Bank of England with long-term banking privileges including the issue of notes. The Royal Charter was granted on 27 July through the passage of the Tonnage Act 1694. Henry Thornton, a merchant banker and monetary theorist has been described as the father of the modern central bank. An opponent of the real bills doctrine, he was a defender of the bullionist position and a significant figure in monetary theory, his process of monetary expansion anticipating the theories of Knut Wicksell regarding the "cumulative process which restates the Quantity Theory in a theoretically coherent form". As a response 1797 currency crisis, Thornton wrote in 1802 An Enquiry into the Nature and Effects of the Paper Credit of Great Britain, in which he argued that the increase in paper credit did not cause the crisis. The book also gives a detailed account of the British monetary system as well as a detailed examination of the ways in which the Bank of England should act to counteract fluctuations in the value of the pound. Until the mid-nineteenth century, commercial banks were able to issue their own banknotes, and notes issued by provincial banking companies were commonly in circulation. Many consider the origins of the central bank to lie with the passage of the Bank Charter Act of 1844. Under this law, authorisation to issue new banknotes was restricted to the Bank of England. The Act served to restrict the supply of new notes reaching circulation, and gave the Bank of England an effective monopoly on the printing of new notes. The Bank accepted the role of 'lender of last resort' in the 1870s after criticism of its lacklustre response to the Overend-Gurney crisis. 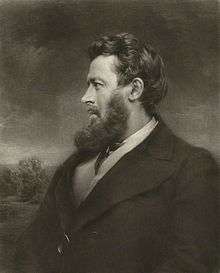 The journalist Walter Bagehot wrote an influential work on the subject Lombard Street: A Description of the Money Market, in which he advocated for the Bank to officially become a lender of last resort during a credit crunch (sometimes referred to as "Bagehot's dictum"). Central banks were established in many European countries during the 19th century. The War of the Second Coalition led to the creation of the Banque de France in 1800, in an effort to improve the public financing of the war. The US Federal Reserve was created by the U.S. Congress through the passing of The Federal Reserve Act in 1913. Australia established its first central bank in 1920, Colombia in 1923, Mexico and Chile in 1925 and Canada and New Zealand in the aftermath of the Great Depression in 1934. By 1935, the only significant independent nation that did not possess a central bank was Brazil, which subsequently developed a precursor thereto in 1945 and the present central bank twenty years later. Having gained independence, African and Asian countries also established central banks or monetary unions. 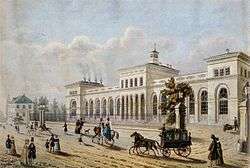 The Frankfurt terminus of the Taunus railroad, financed by the Rothschilds. Opened in 1840, it was one of Germany's first railroads. The Rothschild family pioneered international finance in the early 19th century. In 1804, Nathan Mayer Rothschild began to deal on the London stock exchange in financial instruments such as foreign bills and government securities. From 1809 Rothschild began to deal in gold bullion, and developed this as a cornerstone of his business. From 1811 on, in negotiation with Commissary-General John Charles Herries, he undertook to transfer money to pay Wellington's troops, on campaign in Portugal and Spain against Napoleon, and later to make subsidy payments to British allies when these organized new troops after Napoleon's disastrous Russian campaign. His four brothers helped co-ordinate activities across the continent, and the family developed a network of agents, shippers and couriers to transport gold—and information—across Europe. This private intelligence service enabled Nathan to receive in London the news of Wellington's victory at the Battle of Waterloo a full day ahead of the government's official messengers. The Rothschild family were instrumental in supporting railway systems across the world and in complex government financing for projects such as the Suez Canal. The family bought up a large proportion of the property in Mayfair, London. Major businesses directly founded by Rothschild family capital include Alliance Assurance (1824) (now Royal & SunAlliance); Chemin de Fer du Nord (1845); Rio Tinto Group (1873); Société Le Nickel (1880) (now Eramet); and Imétal (1962) (now Imerys). The Rothschilds financed the founding of De Beers, as well as Cecil Rhodes on his expeditions in Africa and the creation of the colony of Rhodesia. The Japanese government approached the London and Paris families for funding during the Russo-Japanese War. The London consortium's issue of Japanese war bonds would total £11.5 million (at 1907 currency rates). From 1919 to 2004 the Rothschilds' Bank in London played a role as place of the gold fixing. Napoleon III had the goal of overtaking London to make Paris the premier financial center of the world, but the war in 1870 reduced the range of Parisian financial influence. Paris had emerged as an international center of finance in the mid-19th century second only to London. It had a strong national bank and numerous aggressive private banks that financed prtojects all across Europe and the expanding French Empire. One key development was setting up one of the main branches of the Rothschild family. In 1812, James Mayer Rothschild arrived in Paris from Frankfurt, and set up the bank "De Rothschild Frères". This bank funded Napoleon's return from Elba and became one of the leading banks in European finance. The Rothschild banking family of France funded France's major wars and colonial expansion. The Banque de France, founded in 1796 helped resolve the financial crisis of 1848 and emerged as a powerful central bank. The Comptoir National d'Escompte de Paris (CNEP) was established during the financial crisis and the republican revolution of 1848. Its innovations included both private and public sources in funding large projects, and the creation of a network of local offices to reach a much larger pool of depositors. Building societies were established as financial institutions owned by its members as a mutual organization. The origins of the building society as an institution lie in late-18th century Birmingham – a town which was undergoing rapid economic and physical expansion driven by a multiplicity of small metalworking firms, whose many highly skilled and prosperous owners readily invested in property. Many of the early building societies were based in taverns or coffeehouses, which had become the focus for a network of clubs and societies for co-operation and the exchange of ideas among Birmingham's highly active citizenry as part of the movement known as the Midlands Enlightenment. The first building society to be established was Ketley's Building Society, founded by Richard Ketley, the landlord of the Golden Cross inn, in 1775. Members of Ketley's society paid a monthly subscription to a central pool of funds which was used to finance the building of houses for members, which in turn acted as collateral to attract further funding to the society, enabling further construction. The first outside the English Midlands was established in Leeds in 1785. 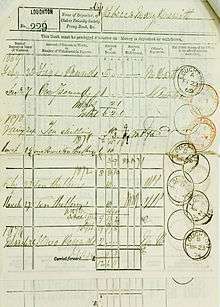 A customer's deposit book, for a Post Office Savings Account. Mutual savings banks also emerged at that time, as financial institutions chartered by government, without capital stock, and owned by its members who subscribe to a common fund. The institution most frequently identified as the first modern savings bank was the “Savings and Friendly Society” organized by the Reverend Henry Duncan in 1810, in Ruthwell, Scotland. Rev. Duncan established the small bank in order to encourage his working class congregation to develop thrift. Another precursor to the modern savings bank originated in Germany, with Franz Hermann Schulze-Delitzsch and Friedrich Wilhelm Raiffeisen who developed cooperative banking models that led on to the credit union movement. The traditional banks had viewed poor and rural communities as unbankable because of very small, seasonal flows of cash and very limited human resources. In the history of credit unions the concepts of cooperative banking spread through northern Europe and onto the US at the turn of the 20th century under a wide range of different names. To provide depositors who did not have access to banks a safe, convenient method to save money and to promote saving among the poor, the postal savings system was introduced in Great Britain in 1861. It was vigorously supported by William Ewart Gladstone, then Chancellor of the Exchequer, who saw it as a cheap way to finance the public debt. At the time, banks were mainly in the cities and largely catered to wealthy customers. Rural citizens and the poor had no choice but to keep their funds at home or on their persons. The original Post Office Savings Bank was limited to deposits of £30 a year with a maximum balance of £150. Interest was paid at the rate of two and one-half percent per year on whole pounds in the account. Similar institutions were created in a number of different countries in Europe and North America. One example was in 1881 the Dutch government created the Rijkspostspaarbank (State post savings bank), a postal savings system to encourage workers to start saving. Four decades later they added the Postcheque and Girodienst services allowing working families to make payments via post offices in the Netherlands. The first decade of the 20th century saw the Panic of 1907 in the US, which led to numerous runs on banks and became known as the bankers panic. Bank failures snowballed as desperate bankers called in loans that borrowers did not have time or money to repay. With future profits looking poor, capital investment and construction slowed or completely ceased. In the face of bad loans and worsening future prospects, the surviving banks became even more conservative in their lending. Banks built up their capital reserves and made fewer loans, which intensified deflationary pressures. A vicious cycle developed and the downward spiral accelerated. In all, over 9,000 banks failed during the 1930s. In response, many countries significantly increased financial regulation. 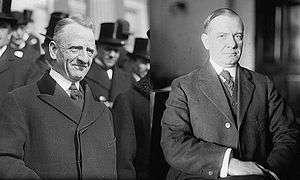 The U.S. established the Securities and Exchange Commission in 1933, and passed the Glass–Steagall Act, which separated investment banking and commercial banking. This was to avoid more risky investment banking activities from ever again causing commercial bank failures. 1969 ABC news report on the introduction of ATMs in Sydney. People could only receive $25 at a time and the bank card was sent back to the user at a later date. During the post second world war period and with the introduction of the Bretton Woods system in 1944, two organizations were created: the International Monetary Fund (IMF) and the World Bank. Encouraged by these institutions, commercial banks started to lend to sovereign states in the third world. This was at the same time as inflation started to rise in the west. The Gold standard was eventually abandoned in 1971 and a number of the banks were caught out and became bankrupt due to third world country debt defaults. This was also a time of increasing use of technology in retail banking. In 1959, banks agreed on a standard for machine readable characters (MICR) that was patented in the United States for use with cheques, which led to the first automated reader-sorter machines. In the 1960s, the first Automated Teller Machines (ATM) or Cash machines were developed and first machines started to appear by the end of the decade. Banks started to become heavy investors in computer technology to automate much of the manual processing, which began a shift by banks from large clerical staffs to new automated systems. By the 1970s the first payment systems started to develop that would lead to electronic payment systems for both international and domestic payments. The international SWIFT payment network was established in 1973 and domestic payment systems were developed around the world by banks working together with governments. Global banking and capital market services proliferated during the 1980s after deregulation of financial markets in a number of countries. The 1986 'Big Bang' in London allowing banks to access capital markets in new ways, which led to significant changes to the way banks operated and accessed capital. It also started a trend where retail banks started to acquire investment banks and stock brokers creating universal banks that offered a wide range of banking services. The trend also spread to the US after much of the Glass–Steagall Act was repealed in the 1980s, this saw US retail banks embark on big rounds of mergers and acquisitions and also engage in investment banking activities. Financial services continued to grow through the 1980s and 1990s as a result of a great increase in demand from companies, governments, and financial institutions, but also because financial market conditions were buoyant and, on the whole, bullish. Interest rates in the United States declined from about 15% for two-year U.S. Treasury notes to about 5% during the 20-year period, and financial assets grew then at a rate approximately twice the rate of the world economy. This period saw a significant internationalization of financial markets. The increase of U.S. Foreign investments from Japan not only provided the funds to corporations in the U.S., but also helped finance the federal government. The early 2000s were marked by consolidation of existing banks and entrance into the market of other financial intermediaries: non-bank financial institution. Large corporate players were beginning to find their way into the financial service community, offering competition to established banks. The main services offered included insurance, pension, mutual, money market and hedge funds, loans and credits and securities. Indeed, by the end of 2001 the market capitalisation of the world’s 15 largest financial services providers included four non-banks. The process of financial innovation advanced enormously in the first decade of the 21st century increasing the importance and profitability of nonbank finance. Such profitability priorly restricted to the non-banking industry, has prompted the Office of the Comptroller of the Currency (OCC) to encourage banks to explore other financial instruments, diversifying banks' business as well as improving banking economic health. Hence, as the distinct financial instruments are being explored and adopted by both the banking and non-banking industries, the distinction between different financial institutions is gradually vanishing. The first decade of the 21st century also saw the culmination of the technical innovation in banking over the previous 30 years and saw a major shift away from traditional banking to internet banking. The Late-2000s financial crisis caused significant stress on banks around the world. The failure of a large number of major banks resulted in government bail-outs. The collapse and fire sale of Bear Stearns to JPMorgan Chase in March 2008 and the collapse of Lehman Brothers in September that same year led to a credit crunch and global banking crises. In response governments around the world bailed-out, nationalised or arranged fire sales for a large number of major banks. Starting with the Irish government on 29 September 2008, governments around the world provided wholesale guarantees to underwriting banks to avoid panic of systemic failure to the whole banking system. These events spawned the term 'too big to fail' and resulted in a lot of discussion about the moral hazard of these actions. 1100 – Knights Templar run earliest European wide/Mideast banking until the 14th century. 1542 – The Great Debasement, the English Crown’s policy of coement during the reigns of Henry VIII and Edward VI. 1553 – The first joint-stock company, the Company of Merchant Adventurers to New Lands, was chartered in London. 1609 – The Amsterdamsche Wisselbank (Amsterdam Exchange Bank) was founded. 1690s – The Massachusetts Bay Colony was the first of the Thirteen Colonies to issue permanently circulating banknotes. 1695 – The Parliament of Scotland created the Bank of Scotland. 1716 – John Law opened Banque Générale in France. 1717 – Master of the Royal Mint Sir Isaac Newton established a new mint ratio between silver and gold that had the effect of driving silver out of circulation (bimetalism) and putting Britain on a gold standard. 1775 – The first building society, Ketley's Building Society, was established in Birmingham, England. 1811 – The Senate tied on a vote to renew the charter of the First Bank of the United States charter. Vice President George Clinton broke the tie and voted against renewal, and the bank was dissolved. 1816 – The Second Bank of the United States was chartered for five years after the First Bank of the United States lost its charter. This charter was also for 20 years. The bank was created to finance the country in the aftermath of the War of 1812. 1862 – To finance the American Civil War, the federal government under U.S. President Abraham Lincoln issued legal tender paper money, called "greenbacks". 1874 – The Specie Payment Resumption Act was passed provided for the redemption of United States paper currency, in gold, beginning in 1879. 1930–33 – In the wake of the Wall Street Crash of 1929, 9,000 banks close, wiping out a third of the money supply in the United States. 1971 – The Nixon Shock was a series of economic measures taken by U.S. President Richard Nixon which canceled the direct convertibility of the United States dollar to gold by foreign nations. This essentially ended the existing Bretton Woods system of international financial exchange. ↑ The word "bank" reflects the origins of banking in temples. According to the famous passage from the New Testament, when Christ drove the money changers out of the temple in Jerusalem, he overturned their tables. Matthew 21.12. In Greece, bankers were known as trapezitai, a name derived from the tables where they sat. Similarly, the English word bank comes from the Italian banca, for bench or counter. 1 2 Hoggson, N. F. (1926) Banking Through the Ages, New York, Dodd, Mead & Company. ↑ Boland, Vincent (2009-06-12). "Modern dilemma for world's oldest bank". Financial Times. Retrieved 23 February 2010. ↑ R Marks was Richard and Billie Deihl Professor of History at Whittier College during 2000. The Origins of the Modern World: Fate and Fortune in the Rise of the West. Rowman & Littlefield, 7 Dec 2006. Retrieved 2012-06-01. ↑ Rondo E. Cameron. A Concise Economic History of the World: From Paleolithic Times to the Present. Oxford University Press, 11 Mar 1993. Retrieved 2012-06-01. 1 2 3 4 J Huerta de Soto – 1998 (translated by M.A.Stroup 2012). Money, Bank Credit, and Economic Cycles. Ludwig von Mises Institute. ISBN 1610161890. Retrieved 2012-06-15. ↑ A. M. Pollard; Carl Heron. Archaeological Chemistry. Royal Society of Chemistry, 22 Apr 2008. ISBN 0854042628. Retrieved 2012-06-24. ↑ Mario Liverani. The Ancient Near East: History, Society and Economy. Routledge, 4 Dec 2013. ISBN 1134750846. Retrieved 2015-02-12. (p. 76 – "record-keeping & bulla"
↑ A Robinson. Writing and Script: A Very Short Introduction. Oxford University Press, 1 Oct 2009. ISBN 0199567786. Retrieved 2012-06-08. ↑ H J Nissen; P Damerow; R K Englund. Archaic bookkeeping. University of Chicago Press, 1993. ISBN 0226586596. Retrieved 2012-06-08. ↑ A Kuhrt. The Ancient Near East, C. 3000–330 BC, Volume 1. Routledge, 1995. ISBN 0415167639. Retrieved 2012-06-16. ↑ B Teissier. Ancient Near Eastern Cylinder Seals from the Marcopoli Collection. University of California Press, 1984. ISBN 0520049276. Retrieved 2012-06-16. ↑ H Williams. Building Type Basics for Banks and Financial Institutions. John Wiley & Sons, 5 Apr 2010. ISBN 0470278625. Retrieved 2012-06-08. ↑ Bank & Insurance News Agency. "Achamedians were using cheque". 1 2 Moorey,P R S. Ancient Mesopotamia :Materials and Industries The Archaeological Evidence. Eisenbrauns, 1 nov. 1999. ISBN 1575060426. Retrieved 2012-06-08. 1 2 3 K Roberts. The Origins of Business, Money, and Markets. Columbia University Press, 2011. ISBN 0231153260. ↑ H Koester. Introduction to the New Testament: History, culture, and religion of the Hellenistic age. Walter de Gruyter, 2000. ISBN 3110146924. ↑ Orsingher, R Translated by D.S.Ault. Banks of the World (PDF). Walker and Company New York. Retrieved 9 April 2012. ↑ WI Davisson; JE Harper. European Economic History. Appleton-Century-Crofts 1972. Retrieved 2012-07-10. 1 2 P Millett. Lending and Borrowing in Ancient Athens. Cambridge University Press, 9 May 2002. Retrieved 2012-05-28. 1 2 3 4 5 J W Gilbart. The history and principles of banking: The laws of the currency, etc. G. Bell, 1866. Retrieved 9 April 2012. 1 2 Parker,W N. Europe, America and the Wider World: Essays on the Economic History of Western Capitalism. Cambridge University Press, 26 Apr 1991. ISBN 0521274796. Retrieved 2012-06-08. ↑ secondary – The journal of the Royal Society of Antiquaries of Ireland 1894 " ...great treasury tombs probably range from this time to 1200..."
↑ secondary – J A Harrill. The Manumission of Slaves in Early Christianity. Mohr Siebeck, 1998. ISBN 3161469356. Retrieved 2012-06-03. ↑ R J A Talbert. Atlas of Classical History. Taylor & Francis, 1985. ISBN 0709924488. Retrieved 2012-06-15. 1 2 H Temporini, W Haase. Principat, Volume 8. Walter de Gruyter, 1977. ISBN 3110073374. Retrieved 2012-06-03. 1 2 3 J Braithwaite; P Drahos. Global Business Regulation. Cambridge University Press, 1 Feb 2000. ISBN 0521784999. Retrieved 2012-06-14. ↑ John Muir. Life and Letters in the Ancient Greek World (p. 80–81). Routledge 19 Nov 2008, 256 pages, ISBN 113416601X, Routledge Monographs in Classical Studies. Retrieved 2015-09-20. 1 2 Brill Online Reference Works. Trapezites. Koninklijke Brill NV. Retrieved 2015-09-06. ↑ Benjamin Geva. The Payment Order of Antiquity and the Middle Ages: A Legal History. Bloomsbury Publishing 1 Nov 2011, 784 pages, ISBN 1847318665, Hart Monographs in Transnational and International Law. Retrieved 2015-09-05. ↑ Willy Clarysse; Dorothy J. Thompson; Ulrich Luft. Counting the People in Hellenistic Egypt: Historical studies. Cambridge University Press, 12 June 2006. Retrieved 9 April 2012. 1 2 3 Henry Thomas. The wards of London: comprising a historical and topographical description of every object of importance within the boundaries of the city. With an account of all the companies, institutions, buildings, ancient remains ... and biographical sketches of all eminent persons connected therewith, Volumes 1–2. J. Gifford, 1828. Retrieved 2012-04-09. ↑ J Brown. A Dictionary of the Holy Bible. Tegg, 1824. ↑ M. Hudson. Entrepreneurs: From the Near Eastern Takeoff to the Roman Collapse within The Invention of Enterprise: Entrepreneurship from Ancient Mesopotamia to Modern Times (p. 16). published by Princeton University Press 26 Feb 2012, 584 pages, ISBN 1400833582, The Kauffman Foundation Series on Innovation and Entrepreneurship. Retrieved 2015-09-08. 1 2 H D Macleod. The theory and practice of banking, Volume 1. Longmans, Green, 1855. Retrieved 9 April 2012. 1 2 J Andreau (Director of Studies at the School of Higher study of the Social Sciences, Paris). Banking and Business in the Roman World. Cambridge University Press, 14 October 1999. Retrieved 9 April 2012. ↑ Matyszak, Philip (2007). Ancient Rome on Five Denarii a Day. New York: Thames & Hudson. p. 144. ISBN 0-500-05147-X. ↑ N. Benke. Gender and the Roman Law of Obligations in Obligations in Roman Law: Past, Present, and Future. published by University of Michigan Press 2012, 367 pages, ISBN 0472118439, Volume 33 of Papers And Monographs Of The American Academy In Rome. Retrieved 2015-09-10. ↑ J. Murphy-O'Connor is Professor of the New Testament at the Ecole Biblique et Archeologique Francaise, Jerusalem (2008). St. Paul's Ephesus: Texts and Archaeology. Liturgical Press, 2008. ISBN 081465259X. Retrieved 2012-06-03. ↑ J Freely. The Western Shores Of Turkey: Discovering The Aegean And Mediterranean Coasts. Tauris Parke Paperbacks, 4 Sep 2004. ISBN 1850436185. Retrieved 2012-06-15. ↑ Wagel, Srinivas (1915). Chinese currency and banking. ↑ Examples of debt:I Samuel, II Kings, Isaiah 50:1. Prophetic condemnation of usury: Ezekiel 22:12, Nehemiah 5:7 and 12:13. Cautions regarding debt: Prov 22:7, passim. ↑ Duke University. Library. Jantz Collection II. The Tablet of memory: shewing every memorable event in history from the earliest period to the year 1809 : classed under distinct heads, with their dates: comprehending an epitome of English history with an exact chronology of painters, eminent men, &c. Printed for J. Johnson, J. Walker, Wilkie and Robinson, G. Robinson, Scatchered and Letterman, Darton and Harvey, J. Booker, Lackington, Allen and Co., Longman, Hurst, Rees, and Orms, and J. Asperne, 1809. ↑ J Macardy. Outlines of banks, banking, and currency. Macardy and Son, 1840. Retrieved 9 April 2012. ↑ Thomas Curtis (of Grove house sch, Islington). The London encyclopaedia, or, Universal dictionary of science, art, literature, and practical mechanics, by the orig. ed. of the Encyclopaedia metropolitana [T. Curtis]. [s.n. ], 1839. |access-date= requires |url= (help) ? ↑ Richard Hildreth. Banks, Banking, and Paper Currencies: In Three Parts. History of banking and paper money. Argument for open competition in banking. Apology for one-dollar notes. Whipple & Damrell, 1840. Retrieved 14 May 2012. 1 2 3 Thomas H. Goddard; Alexander Hamilton; George McDuffie. A general history of the most prominent banks in Europe:particularly the banks of England and France; the rise and progress of the Bank of North America; a full history of the late and present Bank of the United States. H. C. Sleight, 1831. ↑ MM Postan; E Miller. The Cambridge Economic History of Europe: Trade and industry in the Middle Ages. Cambridge University Press, 28 Aug 1987. ISBN 0521087090. Retrieved 2012-07-14. 1 2 3 C Kleinhenz. Medieval Italy: An Encyclopedia, Volume 1. Routledge, 2004. ISBN 0415939305. Retrieved 2012-07-14. ↑ Inalcik, Halil (1997). An economic and social history of the Ottoman Empire. Cambridge University Press. p. 213. ↑ Dumper, Michael; Stanley, Bruce E. (2007). Cities of the Middle East and North Africa: a historical encyclopedia. ABC-CLIO. p. 185. ↑ Inalcik, Halil; Quataert, Donald (1994). An economic and social history of the Ottoman Empire, 1300–1914. Cambridge University Press. p. 212. ↑ Bosworth, Clifford Edmund (2007). Historic cities of the Islamic world. BRILL. p. 207. ↑ Black, Edwin (2004). Banking on Baghdad: inside Iraq's 7,000-year history of war, profit and conflict. John Wiley and Sons. p. 335. Under Ottoman rule, during the eighteenth and nineteenth centuries, Jews continued to thrive, becoming part of the commercial and political ruling class. Like Christians, the Jews could engage in necessary commercial activities, such as moneylending and banking, that were proscribed for Moslems under Islamic law. 1 2 3 4 Dimont, Max (1962). "Jews, God, and History",. pp. 273–4. ISBN 978-0-451-52940-4. 1 2 Kreftz, Gerald (1984). Jews and Money: The Myths and the Reality. p. 46. ISBN 978-0-89919-129-4. ↑ Sombart, Werner (1913). The Jews and Modern Capitalism. pp. 53–7. ISBN 978-0-217-35289-5. ↑ "Guide to Checks and Check Fraud" (PDF). Wachovia Bank. 2003. p. 4. 1 2 "Banking Origin and Development". Invest and Income. Retrieved 26 July 2011. ↑ "A History of British Banknotes". ↑ "A brief history of banknotes". Retrieved 2013-12-17. ↑ William M. Tsutsui. Banking in Japan: The evolution of Japanese banking, 1868-1952 (p. xvi). published by Taylor & Francis 1999, 255 pages, ISBN 0415170125, Routledge library of modern Japan. Retrieved 2015-09-13. 1 2 Norio Tamaki. Japanese Banking: A History, 1859-1959. published by Cambridge University Press 10 November 2005, 312 pages, ISBN 0521022339, Studies in Macroeconomic History. Retrieved 2015-09-13. ↑ Committee of Finance and Industry 1931 (Macmillan Report) description of the founding of Bank of England. Books.google.ca. Retrieved 10 May 2010. "Its foundation in 1694 arose out the difficulties of the Government of the day in securing subscriptions to State loans. Its primary purpose was to raise and lend money to the State and in consideration of this service it received under its Charter and various Act of Parliament, certain privileges of issuing bank notes. The corporation commenced, with an assured life of twelve years after which the Government had the right to annul its Charter on giving one year's notice. '''Subsequent extensions of this period coincided generally with the grant of additional loans to the State'''"
↑ Philippe Beaugrand, Henry Thornton, un précurseur de J.M. Keynes, Paris: Presses Universitaires de France, 1981. ↑ "The development of central banking". Retrieved 2012-12-17. ↑ "Yesterday was a Historic Day — Mises Economics Blog". Blog.mises.org. Archived from the original on 18 September 2010. Retrieved 2010-09-17. ↑ Gray, Victor; Aspey, Melanie (May 2006) . "Rothschild, Nathan Mayer (1777–1836)". Oxford Dictionary of National Biography (Online ed.). Oxford University Press. Retrieved 21 May 2007. ↑ Richard Smethurst,"Takahasi Korekiyo, the Rothschilds and the Russo-Japanese War, 1904–1907". Retrieved 4 September 2007. ↑ Ashworth, Herbert (1980). The Building Society Story. London: Franey & Co. p. 4. ISBN 0-900382-38-4. ; Berg, Maxine (1991). "Commerce and Creativity in Eighteenth-Century Birmingham". In Berg, Maxine. Markets and Manufacture in Early Industrial Europe. London: Routledge. p. 194. ISBN 0-415-03720-4. Retrieved 2010-09-07. ↑ Jones, Peter M. (2009). Industrial Enlightenment: Science, technology and culture in Birmingham and the West Midlands, 1760–1820. Manchester: Manchester University Press. p. 65. ISBN 0-7190-7770-2. ; Chinn, Carl (2008-11-15). "Brum's building society origins". Birmingham Mail. Birmingham Post and Mail Ltd. Retrieved 2010-09-06. ↑ Rex, Simon (2010-04-20). "The History of Building Societies". Building Societies Association. Retrieved 2010-09-06. ; Ashworth, Herbert (1980). The Building Society Story. London: Franey & Co. p. 2. ISBN 0-900382-38-4. ↑ Peterson, Christopher L. (July 2003). "Truth, Understanding, and High-Cost Consumer Credit: The Historical Context of the Truth in Lending Act". Florida Law Review (55): 839–840. ↑ Cleary, E. J. (1965). The Building Society Movement. London: Elek Books. pp. 11–12. OCLC 11817434. Retrieved 2010-09-07. ↑ Fortune, Peter (Sep–Oct 2000). "Margin Requirements, Margin Loans, and Margin Rates: Practice and Principles – analysis of history of margin credit regulations – Statistical Data Included". New England Economic Review. 1 2 "Bank Failures". Living History Farm. Retrieved 22 May 2008. ↑ "How the ATM Revolutionized the Banking Business". Bloomberg News. 27 March 2013. ↑ "In Depth – Big Bang". Financial Times. October 29, 2006. Archived from the original on 15 November 2006. Retrieved 2006-10-29. ↑ "Bank Guarantee Scheme & Recapitalisation". National Treasury Management Agency. 22 October 2008. 1 2 "Walter B. Wriston Archives". Tufts University. Retrieved 14 May 2012. ↑ Banque de France. "history". Retrieved 18 May 2012. Grossman, Richard S. Unsettled Account: The Evolution of Banking in the Industrialized World Since 1800 (Princeton University Press; 2010) 384 pages. Considers how crises, bailouts, mergers, and regulations have shaped the history of banking in Western Europe, the United States, Canada, Japan, and Australia. Hudson, Peter James. "On the History and Historiography of Banking in the Caribbean." Small Axe 18.1 43 (2014): 22–37. Komai, Alejandro, and Gary Richardson. "A history of financial regulation in the USA from the beginning until today: 1789 to 2011." in Handbook of Financial Data and Risk Information I (2014): 385+. Neal, Larry. "How it all began: the monetary and financial architecture of Europe during the first global capital markets, 1648–1815." Financial History Review (2000) 7#2 pp: 117–140.